Rob Hirschfeld, aka “Commander Crowbar,” recently posted a blog entry looking back at how Crowbar came to be, how its grown and where he hopes it will go from here. If you’re not familiar with Crowbar, its an open source software framework that began life as an installation tool to speed installation of OpenStack on Dell hardware. The project incorporates the Opscode Chef Server tool and was originally created here at Dell by Rob and Greg Althaus. Just four short months ago at OSCON 2011 the project took a big step forward when, along with the announcement of our OpenStack solution, we announced that we were opensourcing it. As Rob points out in his blog, as we were delivering Crowbar as an installer a collective light bulb went off and we realized the role that Chef and tools like it play in a larger movement taking place in many Web shops today: the movement of DevOps. The DevOps approach to deployment builds up systems in a layered model rather than using packaged images…Crowbar’s use of a DevOps layered deployment model provides flexibility for BOTH modularized and integrated cloud deployments. As the team began working more with Crowbar, it occurred to them that its use could be expanded in two ways: it could be used to do more than installation and it could be expanded to work with projects beyond OpenStack. As for functionality, Crowbar now not only installs and configures but once the initial deployment is complete, Crowbar can be used to maintain, expand, and architect the instance, including BIOS configuration, network discovery, status monitoring, performance data gathering, and alerting. The first project beyond OpenStack that we used Crowbar on was Hadoop. In order to expand Crowbar’s usage we created the concept of “barclamps” which are in essence modules that sit on top of the basic Crowbar functionality. After we created the Hadoop barclamp, others picked up the charge and VMware created a Cloud Foundry barclamp and DreamHost created a Ceph barclamp. This change was reflected in our work on OpenStack Diablo (+ Keystone and Dashboard) with contributions by Opscode and Rackspace Cloud Builders. 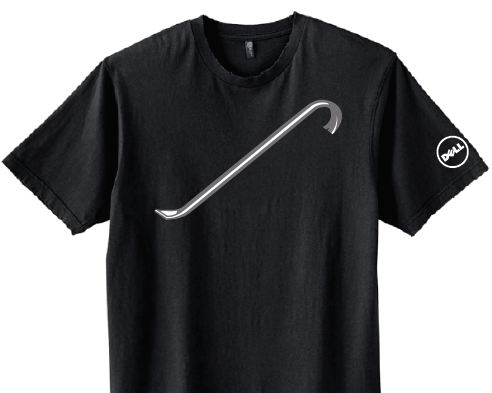 Rather than work internally and push updates at milestones, we are now coding directly from the Crowbar repositories on Github. So what are you waiting for? Join our mailing list, download the code or ISO, create a barclamp, make your voice heard. Who’s next? This entry was posted on Monday, October 24th, 2011 at 5:49 pm and is filed under Uncategorized. You can follow any responses to this entry through the RSS 2.0 feed. You can leave a response, or trackback from your own site.